How can new technologies aid agricultural development in the world’s southern nations? This is just one of the questions that will be aired during the Tech for Food international forum organized by CNES, FARM1 and Agri TV at the International Agriculture Show in Paris on 6 March. Among its many goals, the United Nations aims to reduce by half the proportion of the world’s population suffering from hunger between 1990 and 2015. 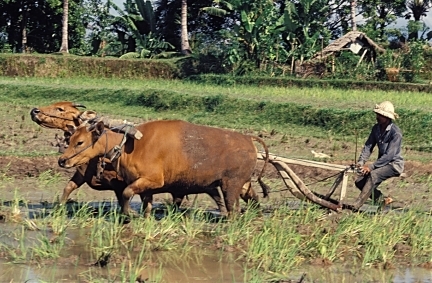 A farmer works a rice field. Copyright : B. Maybon. Agriculture is today benefiting from technological advances in many areas, especially in space, the Internet and mobile telephony. The idea behind the Tech for Food international forum, which CNES is helping to organize, is that these technologies must be used to drive development in the world’s southern nations. Representatives of NGOs, research programmes, the United Nations, experts and local coordinators will be coming together to share their experience and know-how. The forum intends to give the world’s southern nations an opportunity to voice their needs and to look at initiatives already in place around the globe with a view to sowing the seeds for cooperative projects. CNES is already working with stakeholders in the farming sector. For example, the agency’s satellites SPOT and Meteosat are assisting the United Nations’ Food and Agriculture Organization (FAO) in mitigating locust swarms in the Sahel region of Africa. 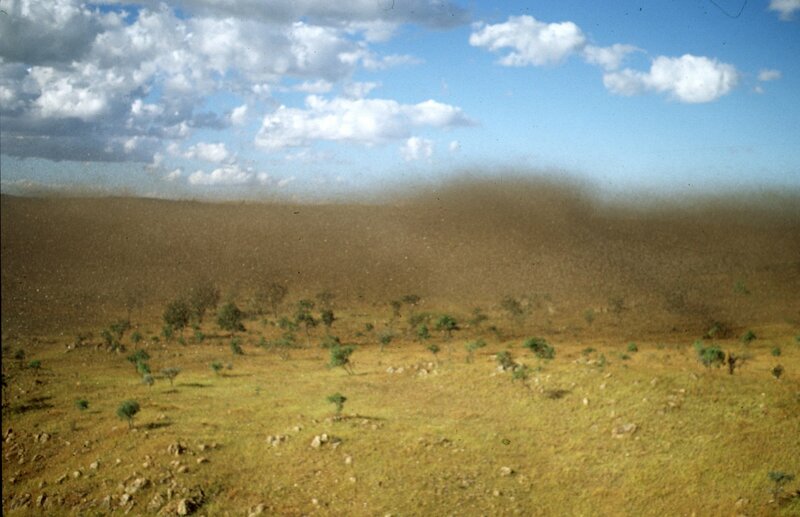 Desert locust swarm in Madagascar. Copyright : M. Lecoq, CIRAD. Desert locusts proliferate under certain environmental conditions, leaving a trail of devastation as they eat their way through crops. Satellites can supply agencies responsible for tracking swarms with meteorological data so they can provide early warning and take action to eradicate them. Desert locusts are not the only insects satellites have in their sights. Satellites are also being used to map risk zones where mosquitoes bearing the Rift Valley fever virus, which infects livestock, are likely to proliferate. Other applications include an initiative in Mali using satellite imagery and field data to help Tuareg and Fulani pastoralists to guide their flocks toward pastures. The Tech for Food forum hopes to speed take-up of the many opportunities—for monitoring, hazard mitigation and resource management—afforded by technological innovations to fuel agricultural development. Entrance to the forum is free and open to allcomers. Tickets will be issued on a first-come, first-served basis. Those wishing to attend must register before 29 January. The FARM foundation was set up by French and European firms and professionals to promote farming and agri-food business in developing countries.